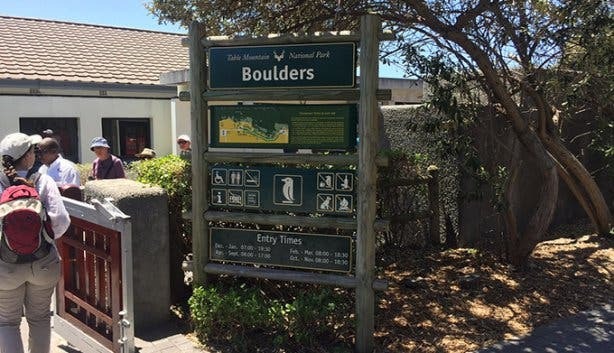 Everybody drives to Boulders Beach to see the penguins. Why? 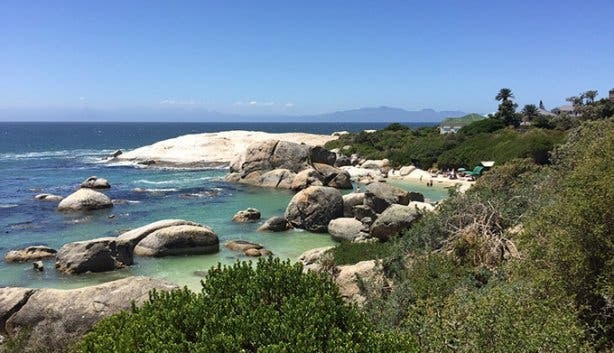 Apart from diving with Great White Sharks, snorkeling with seals and riding an ostrich, you can make your stay in South Africa unforgettable by having a swim with the penguins of Boulders Beach in Simon's Town. 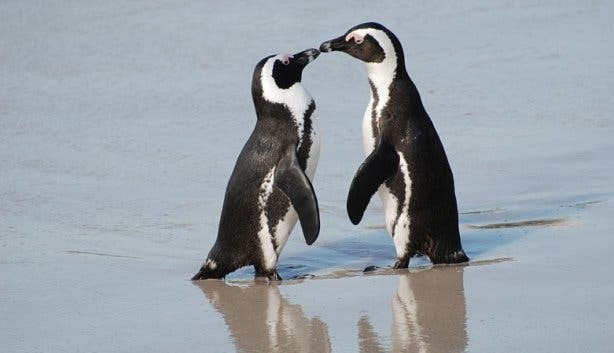 The African Penguin - Jackass Sphensicus demersus - are so called for the donkey-like braying sounds they make when on land. Simon’s Town is one of only 28 world sites where penguins are found. 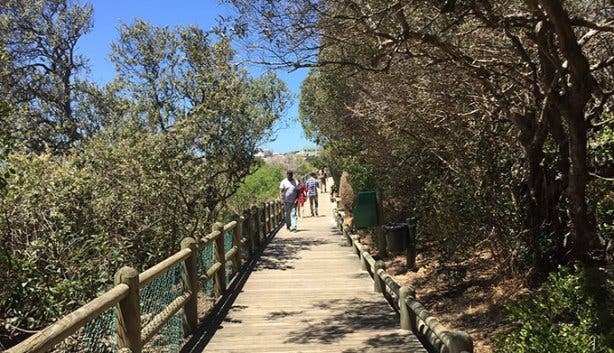 The colony at Boulders Beach was started by the penguins themselves and has increased from a few individuals to a colony of over 1000 penguins. This is in large part due to the efforts of Van, the Penguin Man, Mr. van der Merwe who is a retired naval officer and is single-minded in his care-taking and protection. So arrive early on any summers day, find yourself the perfect picnic spot, relax with a good book while the children build sandcastles. 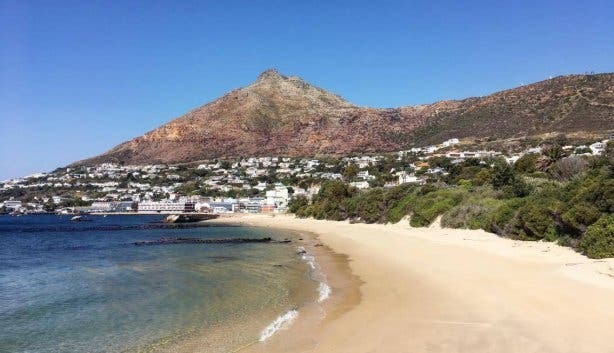 You'll spend the day dodging these distinctive black and white African penguins strolling along the sand and you could possibly even catch a wave with one of the Boulders' most famous residents. For your monthly update on what’s happening in and around Cape Town, be sure to subscribe to our ever popular Editor’s Picks Newsletter.